We have small class sizes with water based teachers and assistants during the early stages of learning to swim. Children are accepted from 4 years and over, of all abilities. The duration of each swimming lesson is 30 minutes. Courses are paid for termly in advance of the course start date. We accept credit/debit cards, cash payments at all venues and credit/debit card payments over the phone. We operate three terms per year which run alongside school terms, with a break for each half term holiday. The length of each term is determined by school holidays and pool availability. New customers may start during the term when places become available, and fees are charged pro rata. Please state child's name, age and venue required and brief details of previous experience. If there is no availability at the time of contacting us we are happy to put your child's details on a waiting list and you will be contacted as soon you are eligible for a place. 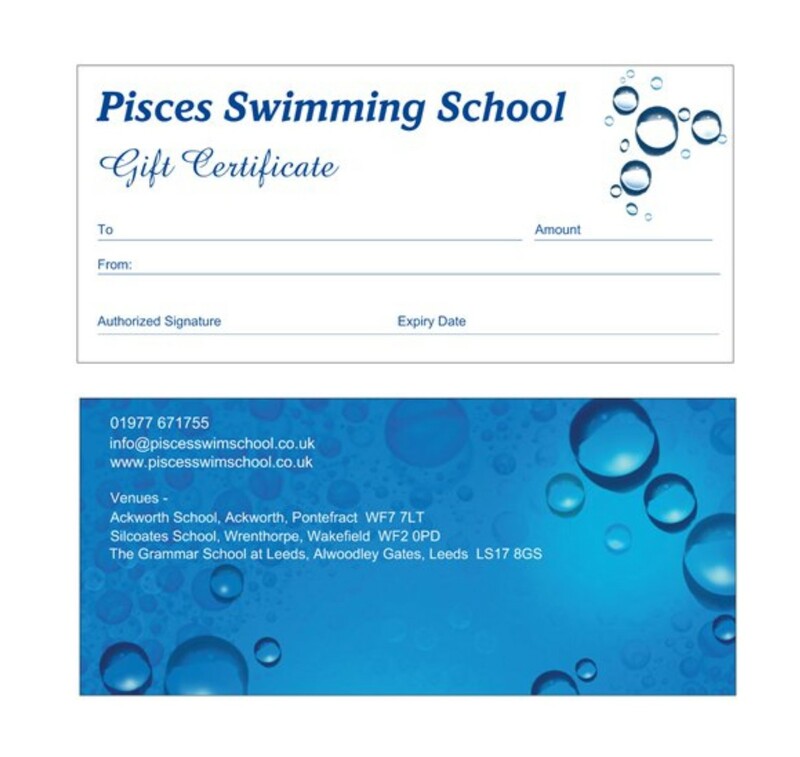 Pupils who are currently attending lessons have priority to book onto the next course if they wish. Confirmation by payment in full MUST be received by the re-enrollment date to retain your place. We currently operate the STA learn to swim badge scheme. Awards may be purchased at the poolside desk at each venue if required. Further details on the scheme can be obtained by clicking on the Awards tab. During most school holidays we run intensive courses each day Monday to Friday inclusive. Lessons are available for Beginners and Improvers and bookings are taken on a first come first served basis. These lessons are very successful in helping children gain confidence and achieve new skills. Available to purchase for an amount of your choice.